Although voice search isn’t an entirely new concept in 2019, the advent of smart speakers like Amazon’s Echo and Google’s Home has really changed the game. 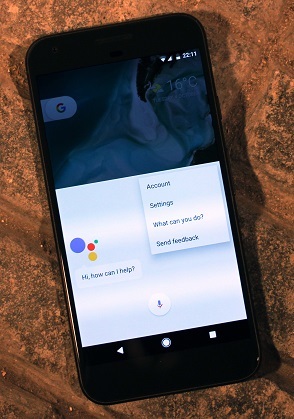 While Google asserts that mobile search has long since left desktop behind, some experts already predict that half of all searches will come from voice by next year. Since voice is the fastest growing type of search, the digital marketing landscape has no choice but to adapt. Furthermore, law firms simply cannot afford to ignore this trend since it represents another way of marketing their services. How Does Voice Search Really Work? Since more and more people are using voice search to find law firms online, it helps to understand how voice search really works. When someone enter keywords into a search bar such as “family lawyer near me,” he typically looks at a few of the top results on the first page before finding a lawyer to fit his needs. Voice search, however, simplifies the process. That same person may ask, “Alexa, can you find the best family lawyer near me?” In this case, Alexa would use keywords and your location to find a family lawyer in your area. Normally, Alexa or Siri take only the top result or two and then reads a bit of text from that result to the user. Since these results are more limited than with a desktop search, a lower ranking for a law firm on page one is unlikely to yield many clients via voice search. For this reason, your ranking matters even more for voice searches than with screen searches. The main difference between voice and text search is that it’s more conversational. Since they’re essentially part of a conversation, vocal search queries are usually longer than the keywords or bullet points a user enters into a search box. Consequently, law firms need to target the long-tail (usually four to six words) keywords that you hear in natural speech instead of the short-tail (one to three words) keywords used for traditional search. In a sense, using a voice assistant is like speaking to the operator. For those who remember what it was like calling the operator for information, this is a similar type of conversation. In order to optimize the content on your law firm’s site, try to mimic the phrases people use on the phone. Answering questions with natural language has much more relevance to assistants like Alexa and Siri that are powered by artificial intelligence. Why Are the Majority of Voice Searches Local? Most voice searches tend to be local. But how did voice search evolve this way? Because they are often done on mobile devices, people are usually out somewhere and in need of information that pertains to where they are at the moment. For instance, they need directions to a restaurant, or the hours for the closest hardware store, or advice on a legal problem that just occurred. If you haven’t claimed and updated your Google My Business listing, now would be the time to do so. Verifying your law firm’s address, contact numbers, hours and business category means that Google will have easy access to them. While every business should do this anyway, it is even more significant for the local aspect of voice search; a current Google My Business listing will raise your firm’s odds of showing up when a voice search about local law firms near you occurs. This is another instance of, if it’s not already on your site, it’s about time. Frequently asked questions or FAQs are a terrific way to engage users. Voice search, however, takes this to a higher level because it’s the perfect place to include conversational phrases and long-tail keywords. Including a list of questions that crop up about your law practice along with detailed answers can generate lots of traffic from voice searches. For example, an article about employer discrimination in the workplace in New Jersey would be helpful for someone thinking of suing their employer in that state. However, an FAQ page covering that subject could include the exact questions someone would ask Alexa or Siri on the topic. In addition, creating content snippets to answer specific questions about your law practice will not only bump up your voice search results, but it will also increase the probability of showing up in Google’s featured snippet block at the top of the search results page.